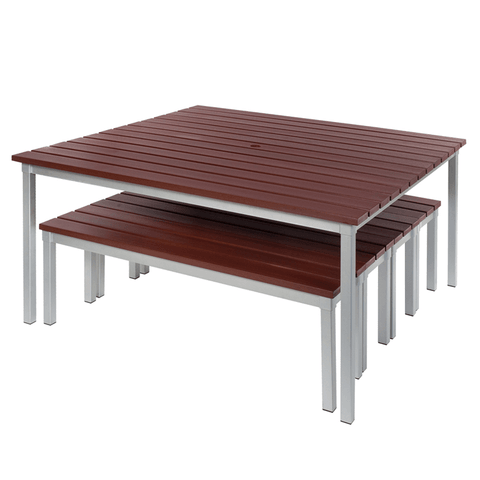 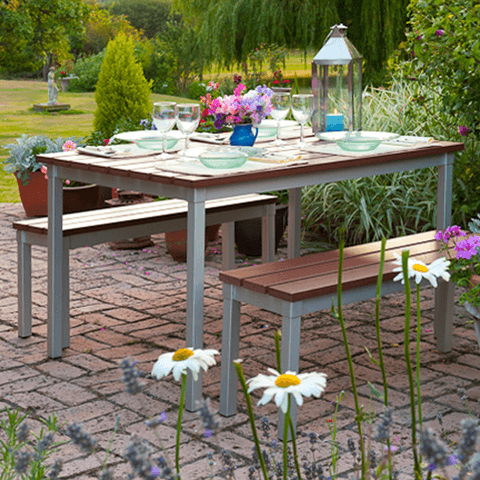 Maintenance and hassle free, Enviro outdoor furniture is crafted from synthetic wood produced from recycled materials. 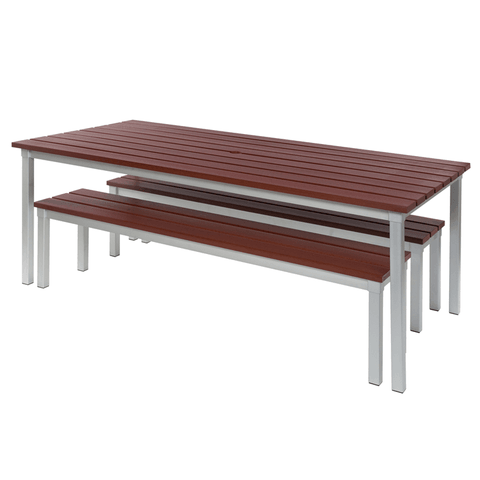 Simply wipe down to keep hygienic and the tables are ready to use. 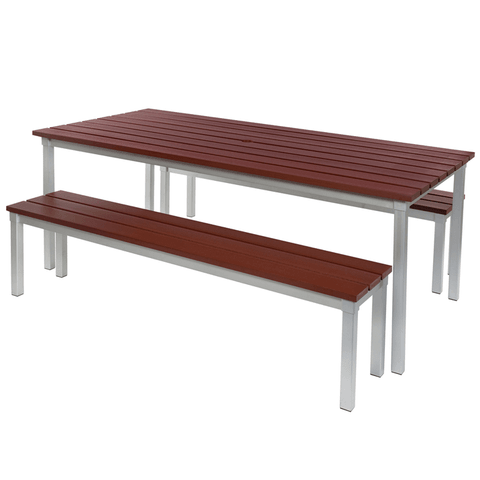 The table and bench tops look like wood and feel like wood but do not deteriorate like wood, while the anodised aluminium frames provide a smart appearance. 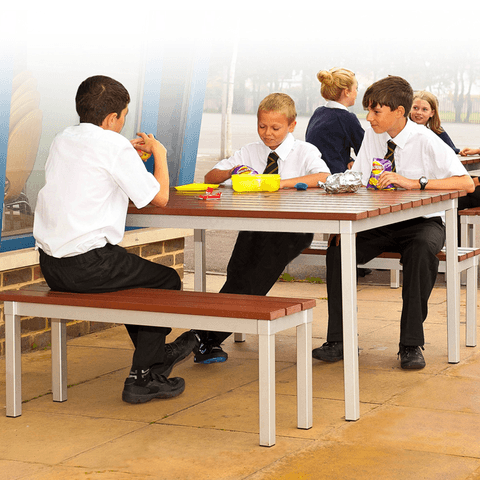 The range is available with floor fixing kits for added security and come with a 5 year guarantee for peace of mind.